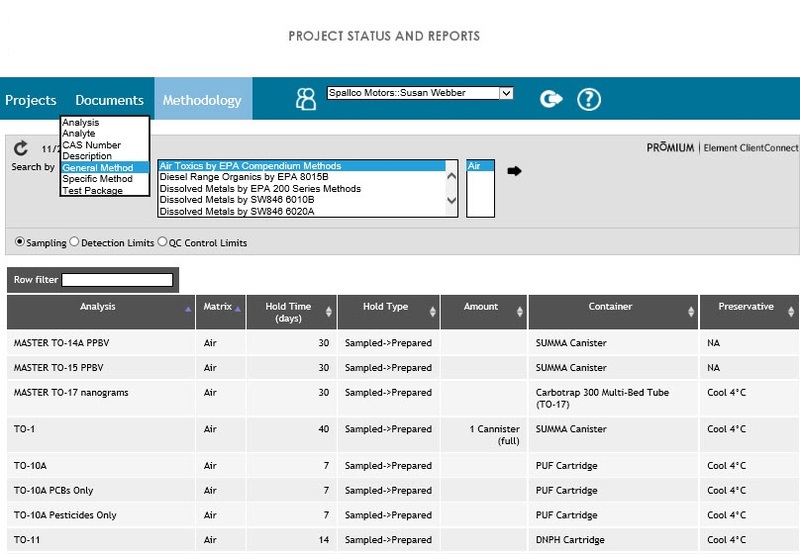 ENCO ClientConnect is a powerful web-based communications tool that gives you quick and easy access to sample data, test results and documents. 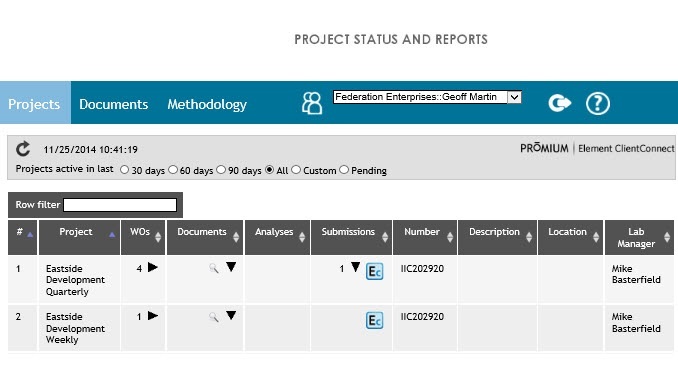 With ClientConnect, you are able to access information directly over the internet at any time to get quick access to your project information in our LIMS system. 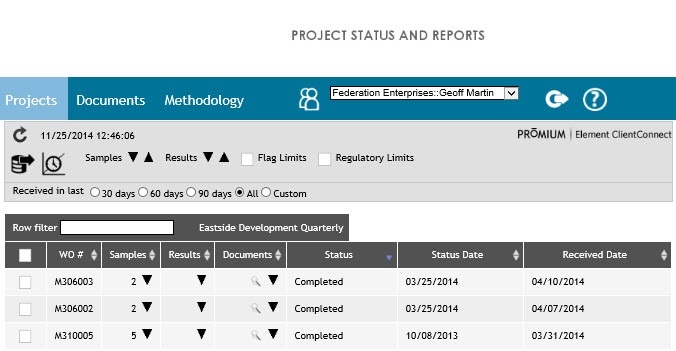 Display the work orders associated with each of your projects. 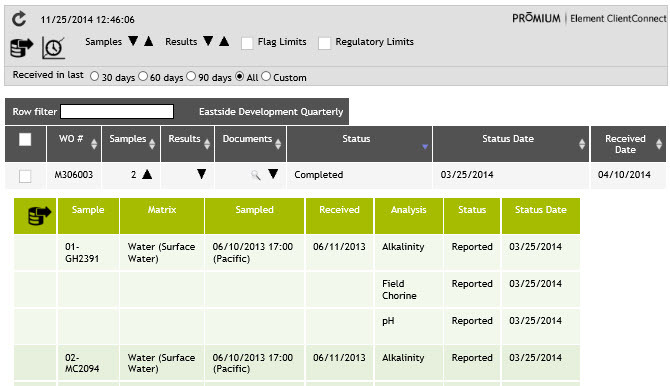 Highlight flag limits and regulatory limits, and view sample history. Display methodology by searching on a varety of factors including: Analysis, Analyte, CAS Number, Discrpition, General Method, Specific Method, and Test Package. Display a the samples detail for each work order. 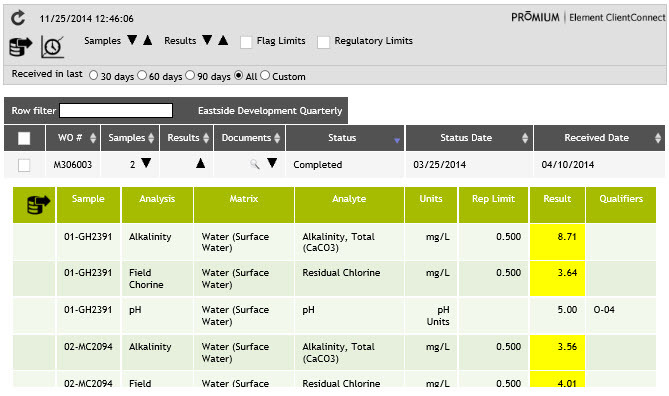 Display the results associated with each sample.